Tell us a little about yourself? Founded in 2011, Macaroon Kids was the combination of following a passion and producing ethical unique but stylish toys and clothes. 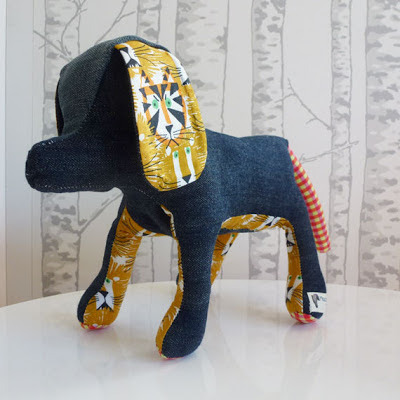 What began with the creation of a pair of upcycled jeans, lead to an upcycled Pokey Puppy. Now the range includes special treasures for both the little lads and little ladies and will keep growing. “My children inspire me. Their joy, curiosity and imagination lead me to each new creation”. 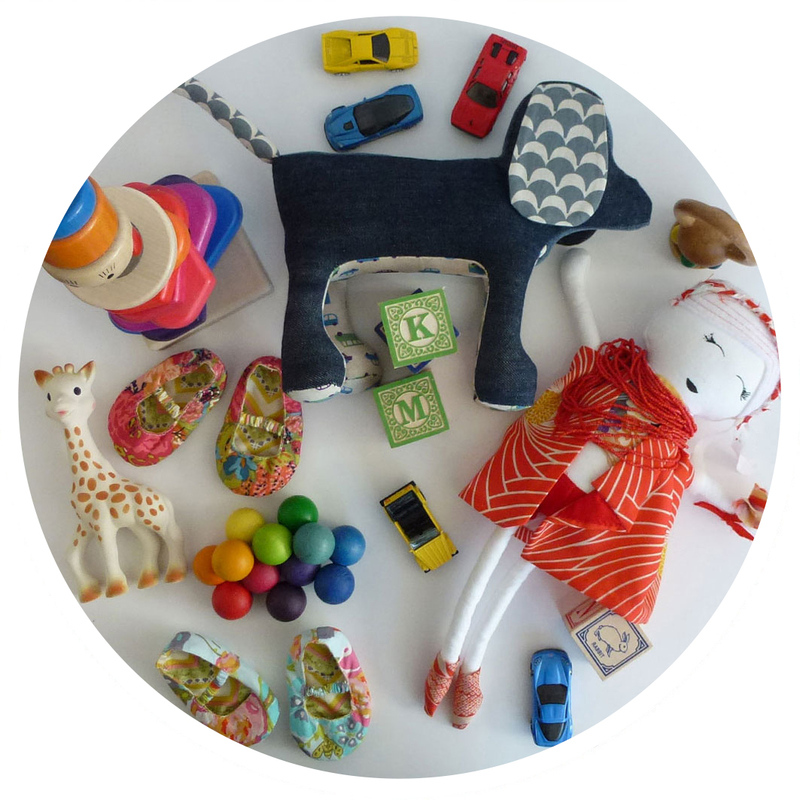 While the fun designs are aimed at children, the functionality and ethical manufacturing process speaks to parents. We are about giving modern parents the choice and voice to purchase sustainable, quality pieces. Each item is designed and handcrafted by myself. Production is low, ensuring every single Macaroon Kids item is unique, special, beautiful and memorable. A wonderful one-of-a-kind gift that is rare to find. Whether it is using upcycled fabrics; sourcing products from small businesses; to having elements created with fair trade companies, every step of Macaroon Kids is created ethically with both person and environment in mind. Tell us how your product/range/business came about? After my son was born I wanted him to have some cool baby jeans, there really was none that were affordable, I mean, I had no intention of paying $75 for a pair of baby jeans, so I made some for him from an old pair I had lying around. 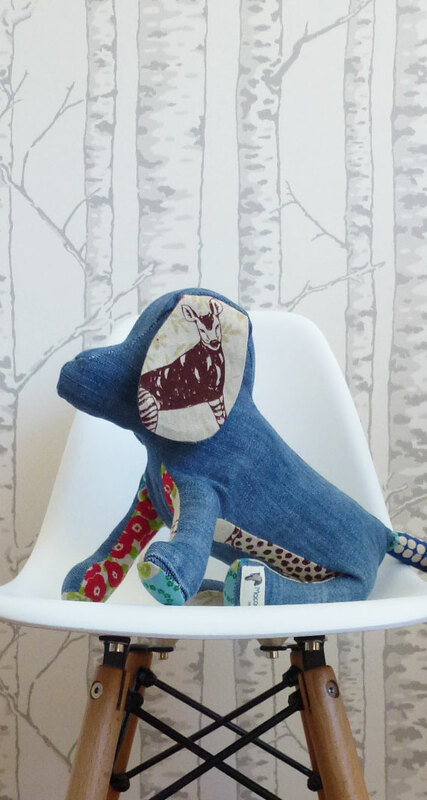 I then wanted to make a special toy for him and I used the remainder of the jeans for my sample...and I liked it. That was how the Pokey Puppy came about and how I started Macaroon Kids. My designs are centred around the needs of my own children and what I want them to have. Now that I have a little girl too I have changed the look of Macaroon Kids and now include dresses, shoes and my very special, one of a kind dolls, created using vintage fabrics. Quality is always important to me as is producing products in an ethical manner. What inspires you? I love scandinavian design, I love fabric, I love my children, I love homewares, I love travel, I love the stories that everyone has to tell. My inspiration can come from anywhere. When you are not busy creating what do you love doing? I love doing things with my family. Visiting new places and I love finding new boutique stores and gorgeous new brands, oh and drinking great coffee! What are you reading right now? With 2 young children there is little time to read and my beautiful books are packed away. However, when I get a chance, I am working through 'The 4 hour work week'. Absolutely LOVE this book. What is your favorite website(s) ? I don't have a favourite website per se, but I do have a favourite blog, Smudgetikka which updates me with the latest childrens' brands in the UK.